My name is Jorgen Häggensen, I was born in 1960 in the norwegian city of Tromsø in a middle-class family. 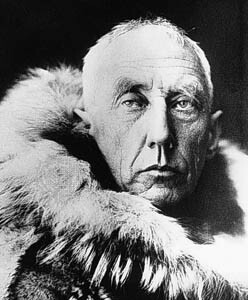 Since I was child I was a great follower of the great Norwegian explorer heroes, specially Roald Amundsen. Soon I realized about my interest for history and archaeology and after finishing my studies in the public institute of Tromsø I joined Tromsø University to start the university degree of Archaeology and History. After finishing my studies with honours I joined the Archaeology and History Department of Tromsø University, first as assistant and then as Deputy Teacher. After some years of intense job and investigations, I was given the opportunity in 1992 to join NTNU (Norwegian University of Science and Technology) to lead many investigation projects related with submarine archaeology, my biggest passion. In 2005 I meet María Ruiz, scientist from CSIC (Superiour Council of Scientific Investigations) from Spain as she came to Norway to complete some investigations. We soon find out that we have fallen in love so we decided to marry in 2008. Thats the moment when I took the decision of relocalize to Spain, as María had to return and we couldn't have afforded the distance. Since then I have been working as external consultor for CSIC and continued my collaboration with NTNU doing constant trips to Norway to continue my main projects. Nowadays I'm focused in my biggest investigation project, which has been the main reason for opening this blog, what I hope will serve to leave my milestone in archaeology history revealing one of the biggest myths of humanity: The existence of the Hyperborean civilization. In this blog I'll share parts of my investigations that will make you join me in the discoveries that I have done and will do, all of them confirmint the existence of Hyperborea.